The Seattle Storm have proven that the WNBA product can work and be highly effective without an NBA parent company behind it. 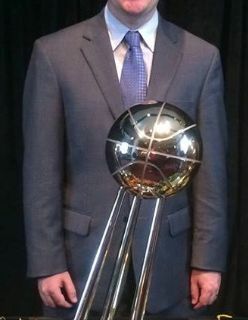 A member of the Storm since the early 2000s, when they did have the Seattle Sonics in the Key Arena, Kyle Waters has worked his way up from an Inside Sales Rep in 2005 to SVP in 2015. Waters talks about how the WNBA brand is pushed out into the community, showcasing an inclusive atmosphere that has continued to catch-hold with various constituencies and result in ... See More sold-out audiences in an NBA-quality arena. Waters shares insight into the branding effort with the Storm's mascot Doppler, as well as how the roster transitions from former stars Lauren Jackson & Sue Bird have yielded two back-to-back No. 1 WNBA draft picks in order to keep the Storm front-and-center within the Seattle sports landscape throughout the summer.